Do you want to attract more potential buyers to your store? Our Cart Sharing add-on gives you such opportunity. Does the shared cart also share the original customer's ship-to information? 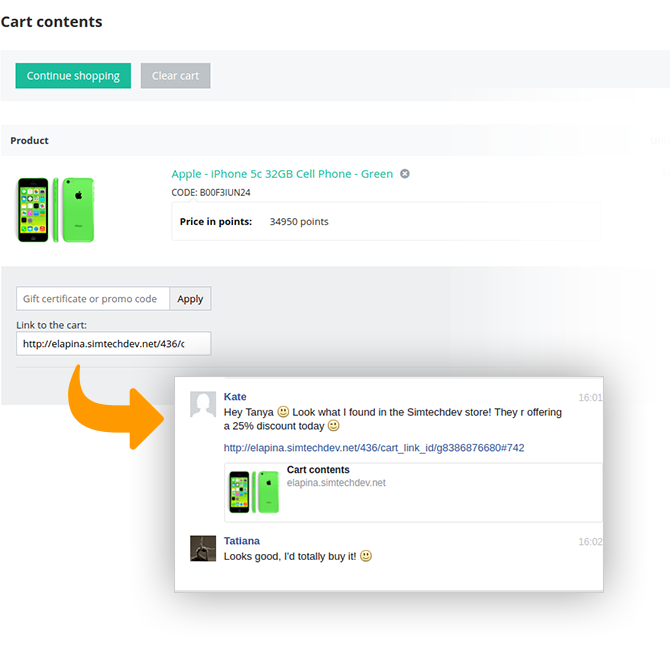 Does the shared cart notify the original customer when their items have been purchased by another customer? Without that functionality, this seems like an incomplete solution for the stated purpose. 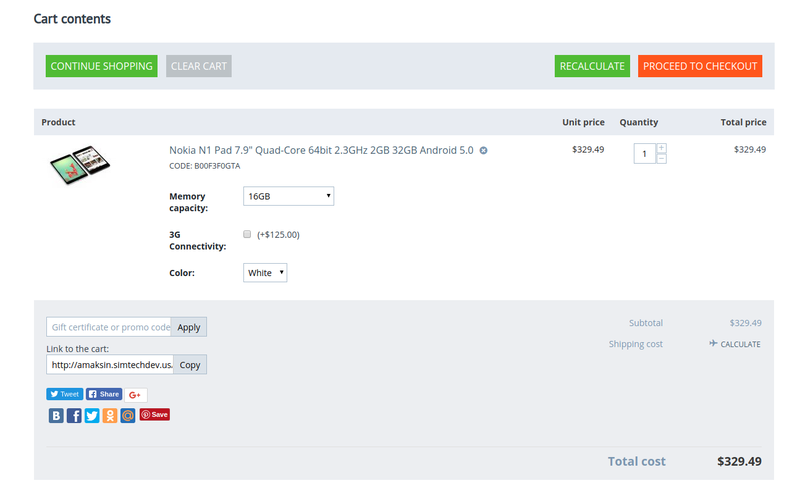 I can see this addon being much more useful as a way to offer pre-built product bundles. 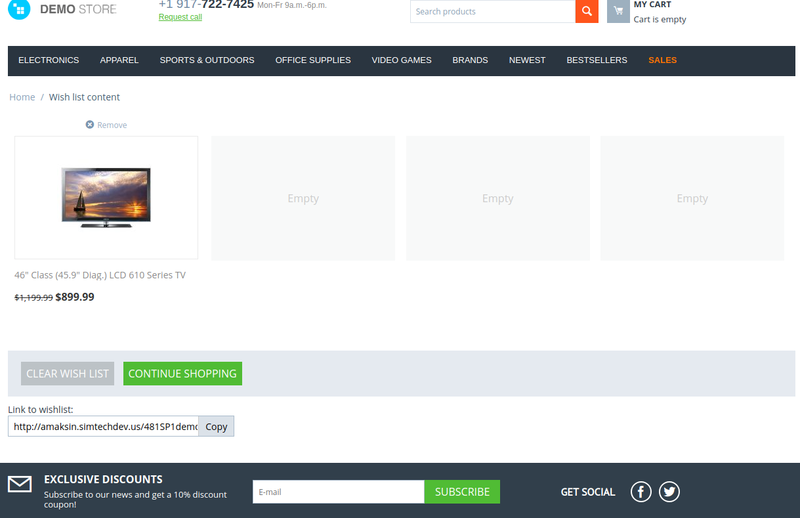 The links to these "bundles" could be advertised on the storefront as a quick way for customers to order groups of commonly ordered items (ex. back-to-school supplies). However, there isn't currently a way to manage more than one shared cart. Could that functionality be added? I would definitely purchase a version of the addon if it did that. Just to clarify - the existing "Buy Together" addon isn't well suited to what I have described. "Buy Together" combinations can only be advertised at the product detail. 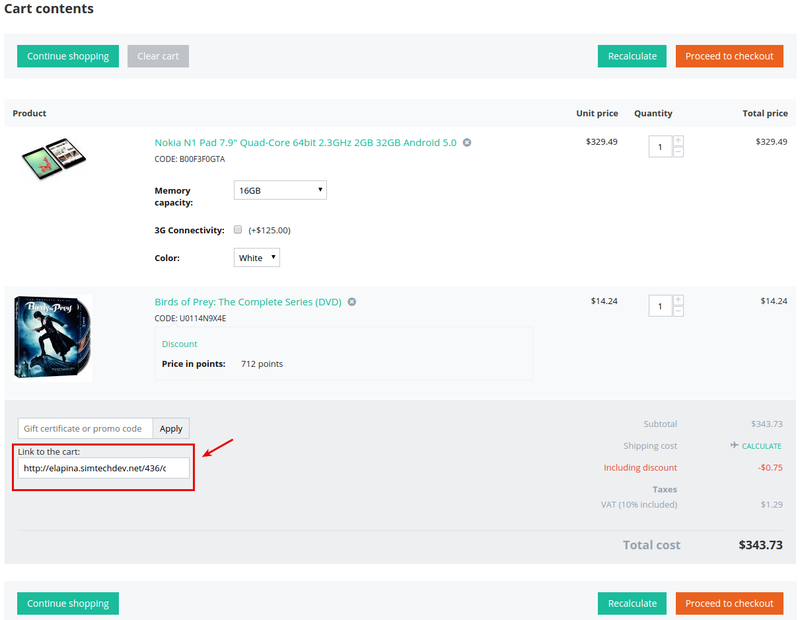 The resulting combination appears in the cart as a single line item that can not be modified (individual products can't be removed from the combination or have their quantity adjusted). The shared cart does not share the original customer's ship-to information and does not notify the original customer, because people buy products not for that customer, but for themselves. We have the Gift Registry add-on that allows your customers to create events and add a list of products they wish to get from your store. This is an interesting idea. I will discuss it with the manager. Thank you. why is there no option to share the cart directly to social networks??? Thank you for the idea. We will add it to our to-do list. We have added the ability to share the wish list as well as cart. Cart Sharing add-on allows your customers to share their shopping cart link via messages or post it in social networks. can you post a new screenshot ? is the procedure simplified ? Yes, thank you, we will add sharing to social networks to wishlist as well. We have added sharing to social networks to wishlist page as well in our Cart Sharing add-on.